Stone helped found things besides Twitter: Xanga, Blogger and Odeo. He worked for Google with Blogger. He once won a debate at Oxford Union. Sometimes a good idea takes years to percolate. 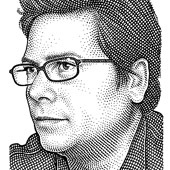 Jelly, the stealthy startup founded by Twitter co-founder Biz Stone, announced Thursday that the company just closed its Series A round of venture capital. The round was led by Spark Capital; Bijan Sabet — an early Twitter investor — will join Jelly’s board. Other noteworthy investors include Jack Dorsey, U2’s Bono, Reid Hoffman, Steven Johnson, Evan Williams and Jason Goldman, Roya Mahboob, Greg Yaitanes and former vice president Al Gore. A grassroots-like startup aims to better communication between community members, and to make cities better as a result. Surely, I thought, there must be something one could do on social media that would be more fun than growing turnips and feeding chickens. Like, say, scheming and plotting, murders and marriages, contesting for power.